The Golden Globes have announced their picks for the Best Animated Feature Film of the year. Sponsored by the Hollywood Foreign Press Association, the Golden Globes picked the five nominees for the award. 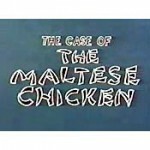 In 1964, Inspector Willoughby too on The Case Of The Maltese Chicken. Inspector Willoughby was one of the later Walter Lantz series, beginning in 1960 and running 12 cartoons. Universal Pictures’ “Untitled Minions Project,” a spin-off from the blockbuster movie Despicable Me, will be released December 19, 2014, the studio announced Tuesday night. The Minions — yellow creatures who were Groo’s henchmen for Groo in the animated hit Despicable Me — will star in a feature film to be released by Universal in 2014.